No deposit bonuses for online casinos are useless, unless you want to pass the time and have a bit of fun in the process. People don’t get rich on no deposit bonuses. One of the most common attractions with online casinos in the UK is the offering of no deposit bonuses. So what exactly is a no deposit bonus? A no deposit bonus is a free bonus of a specified amount to play at the online casino, without spending any money. No deposit = no spend = no money needed to be ‘deposited’ in to the account. Often all that is required is that the user “signs up” to the online casino as a new customer by entering their personal information. In some cases online casino sites such as Gala Casino require personal info + payment info, even though no money is charged or deposited in order to get the bonus. Simple, the bonus is to entice you in and become a new paying customer. By adding your payment information then you are more likely to carry on playing once your bonus is used up. In the casinos eyes they are making the process quicker and more streamlined for you. But behind the scenes it cuts out the hassle of continuing your play should you choose to do so. For example, if a particular casino site is offering £5 free, you might enjoy playing roulette games with this free fiver so much that you want to carry on playing. Therefore, you add some funds to your account, e.g. £10 and become a paying customer. So why do people enjoy no deposit bonus deals so much? There are a small percentage of people that actually use no deposit bonuses for what they are for – to try out a product before you invest in to it. “Try before you buy” so to speak. The others think they can win a life changing sum of money for free. In short – they can’t. The wise owls of the gaming world who use the bonus as they should, are often genuinely interested in becoming a paying customer of the online casino. For most avid gamblers, a lot of criteria and factors come in to play that can make or break a casino. Gambling enthusiasts are very particular about the credentials such as; quality of games, software provider, graphics, speed to name a few. Therefore the no deposit bonus is a great way to really check out what the casino offers to ‘paying’ customers and whether it suits their style of gambling. 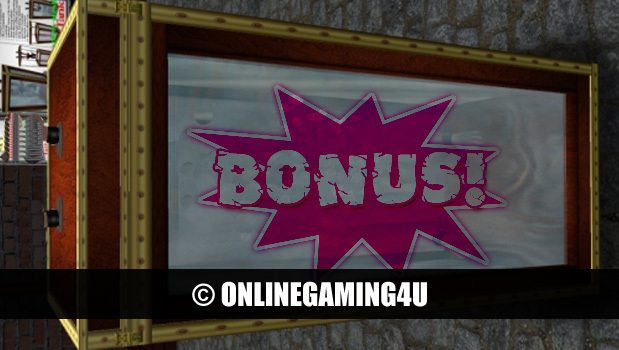 Using this type of bonus gives a greater insight in to the backend as well as the frontend of an online casino site, rather than just floating around trying a few demo games. Demos are great don’t get me wrong, but nothing compared to the ‘real’ test using actual virtual money. Let’s expand and take a look at why no deposits are worthless and a waste of time – most of the time. Online casinos can be seen as products, providers or rented fun. Whichever way you look at them they all provide the same;- a portal to win (or lose) money using the Internet, (bear with me). Of course no one sets out to lose money, so the primary objective for any casino gamer is to maximise their chances of winning. Now i am not saying you can’t win with no deposit bonuses, but i am saying for your own good it is better that you don’t! Like with every product or service in the UK there is that three little words known as “terms and conditions“. The terms and conditions attached to no deposit bonuses are so tight that if they came as real bank notes in a container and you were armed with a flame thrower, you still couldn’t get at it. (You get the picture). So let’s have a look at a few snippets of the terms that come with these no deposits and what they mean. Online casinos cater for the needs of slots players – (which are massive at the moment), and offer X amount of free spins on selected games. Free spins allow you to play selected slot machine games for free. Often the amount of free spins is specified before you sign up. e.g. 15 free spins on X game. You can then load up the slots game and spin the reels X amount of times for free according to the bonus. “You have 24 hours to accept the bonus” – sounds fair enough, but read on; “If wagering requirements are not met within 24 hours the entire bonus balance (bonus and winnings) is removed”. Hand on a minute, what are wagering requirements? Wagering requirements is a standard condition of gambling bonuses, however, no deposit wagering requirements are very high and some say unreasonable. But hey i guess the gambling site is giving away free money they can set their own rules right? I’ll leave that decision to you. “A wagering requirement of 50 times no deposit bonus amount must be met before you can withdraw winnings”. This means that if the winnings from the bonus was £10, you times this by 50 to get the wagering requirements. It’s almost like a mini game of Crystal Maze (watch video) where you eventually unlock the prize. Only harder. So take the £10 won from the free spins, times this by fifty and get £500. That is your wagering requirements sum. ‘Wager’ = bet. Therefore, it is the (minimum) amount you have to bet in total. In brief; £500 needs to go back through the game in some form in order to meet the ‘requirement’ and for you to be able to withdraw the winnings. Any gambler with experience knows that this is a difficult calculation unless the very first bet is successful. So moving on to the next point in the terms; withdrawals. Hang on a minute; so the no deposit bonus becomes a deposit bonus? Example scenario – Player gets 10 free spins, wins £150 AFTER wagering £500 in game. But in order to get the £150 in the bank they need to spend £10, and if lost makes winnings £140. So the big question on everyone’s lips is “are no deposit bonuses worth it?”. You decide! 20 free spins on Starburst Slots at bgo Casino – click here. 25 free spins on selected games at Gala Casino – click here. £5 free no deposit bonus at Paddy Power Casino – click here. £10 free no deposit bonus at Sky Vegas casino – click here.